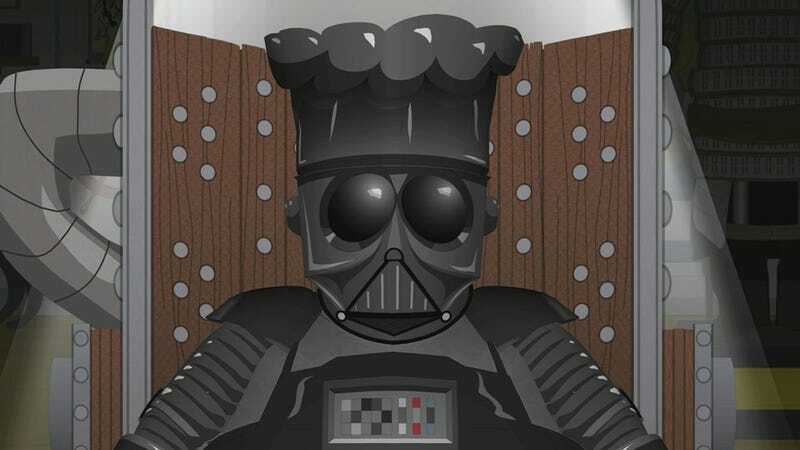 Back in 2006, singer and actor Isaac Hayes abruptly quit South Park, where he had voiced the character Chef for a decade. Hayes, an active Scientologist, was apparently upset about the episode “Trapped In The Closet,” which makes fun of the cultish religion he followed. But it sounds like his departure wasn’t entirely up to him. “As a civil rights activist of the past 40 years, I cannot support a show that disrespects those beliefs and practices,” the statement said. It was preposterous, of course—the show had already gone after Christianity, Judaism, and Islam with aplomb—and South Park immediately responded by airing an episode about Chef joining a cult and dying. (Instead of getting a new voice actor for Chef, creators Trey Parker and Matt Stone just reused a bunch of Hayes’ old lines.) It marked a sad end to Hayes’ excellent run on the show. He died in 2008. Hayes III: Isaac Hayes did not quit South Park; someone quit South Park for him. What happened was that in January 2006 my dad had a stroke and lost the ability to speak. He really didn’t have that much comprehension, and he had to relearn to play the piano and a lot of different things. He was in no position to resign under his own knowledge. At the time, everybody around my father was involved in Scientology — his assistants, the core group of people. So someone quit South Park on Isaac Hayes’ behalf. We don’t know who. Stone: We sort of figured out the whole picture a bit later, but that’s totally what happened. Hayes III: My father was not that big of a hypocrite to be part of a show that would constantly poke fun at African-American people, Jewish people, gay people — and only quit when it comes to Scientology. He wouldn’t be that hypocritical. Stone: It really sucked, the whole thing. This statement put out that he was quitting, it kind of called us bigots. Parker: But we knew in our hearts there was something way more rotten going on. Such is the power of Scientology. Go read the full THR oral history if you’re into the show—it’s a fun one. Meanwhile, the new season of South Park started last night, and it’s already a tangled web of ridiculous plots. Gotta get those member berries.